Love the exterior (minus the grey color on the trim), and with a little work, the interior could be very nice, too. I’m from Cincinnati and now live in IN. There are so many of these old beautiful Italianates around this area. 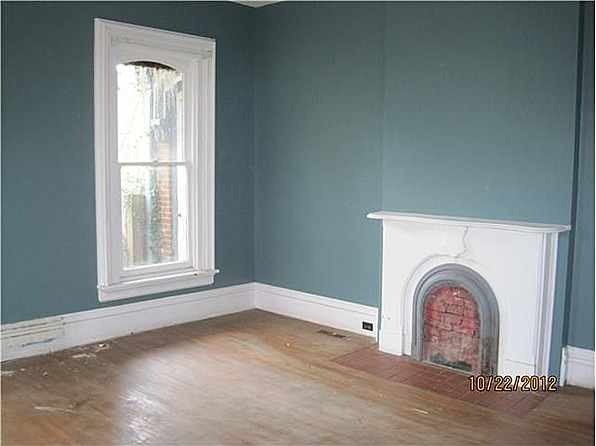 This house could be just gorgeous with a little love. 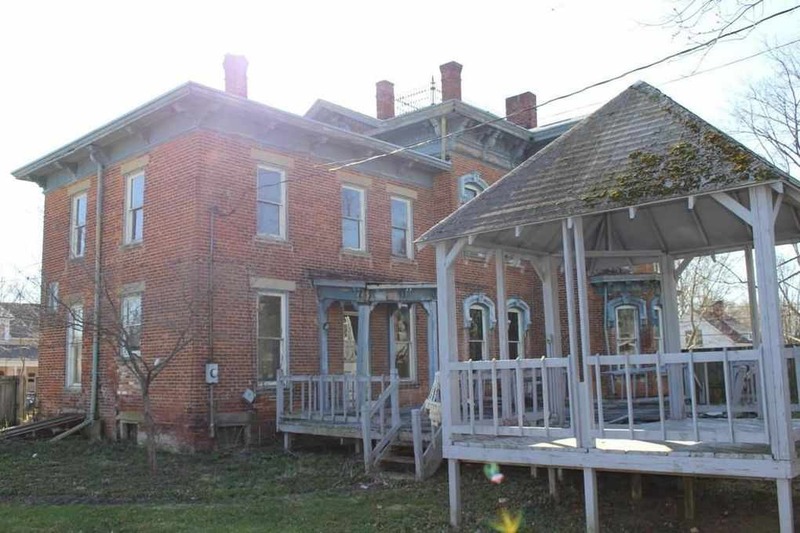 Ohio is a treasure trove of old houses that are nearly entirely intact! It’s truly amazing, makes me want to move there. 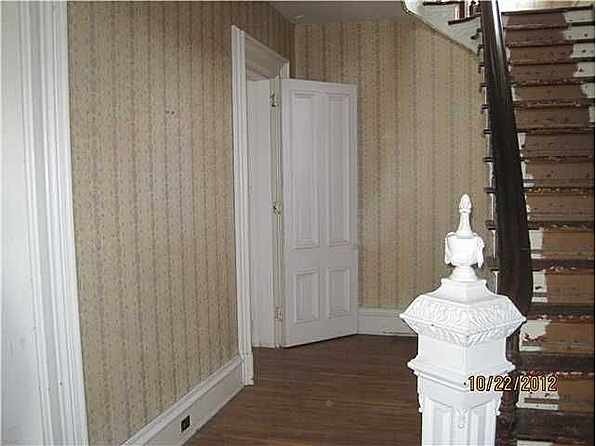 But John, the newel post was so yucky before. This is in my late father-in-law’s hometown. My husband and I visited there a couple of years ago and loved it. Can’t tell you how much I’d like to take this one on, but the hubby would be most unhappy! This is one of those that actually makes me sad. The old gal deserves better. The bio is somewhat sad reading about the Swetland children passing away at a young age. Of course, medical science in the mid-1800’s was primitive at best. Almost any major illness in those days could swiftly turn fatal so surviving childhood was a challenge in itself. Thanks for the historical narrative. The house looks very little changed from the 1875 exterior view. 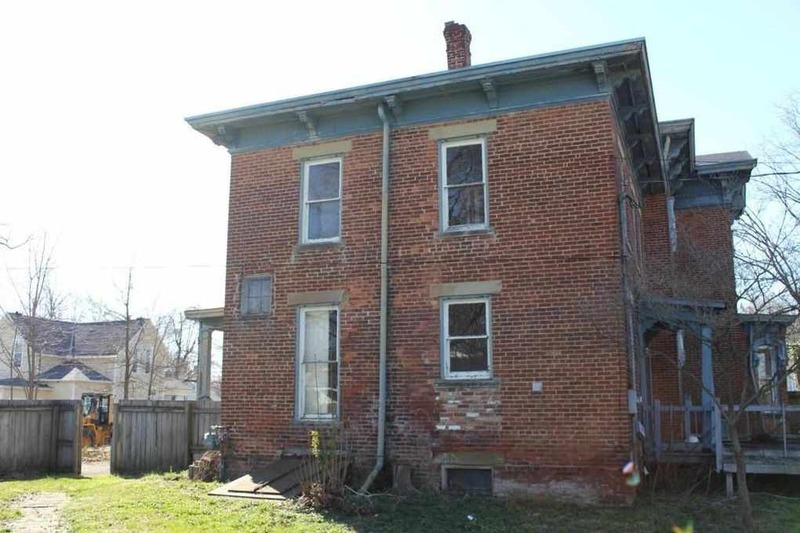 The house has some great exterior details that are slowly eroding due to the lack of attention to the porches as well as the roof, specifically the eaves. It would be nice to see the next owner address this issue before it gets worse. It would be a shame to lose such a splendid house! 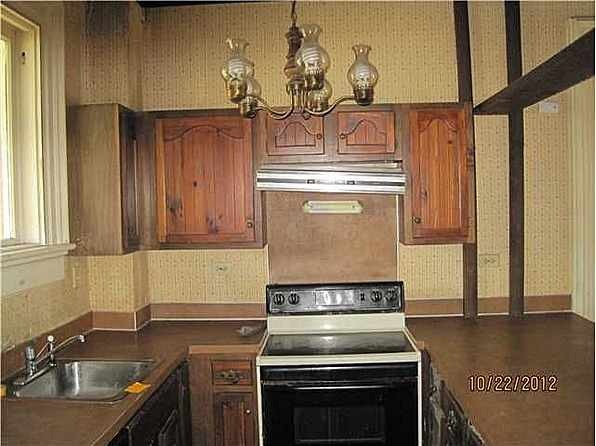 Rip out the tiny kitchen and start over, refinish the floors, new paint, and some tlc, this house would be beautiful. Plus fix up and paint the outside also. I couldn’t agree more about the newel. Been on the site off/on since 2012. 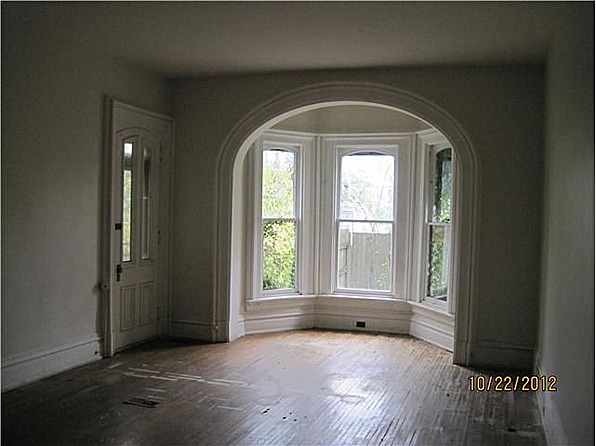 Here are some 2012 interior photos although it may not still look like this. 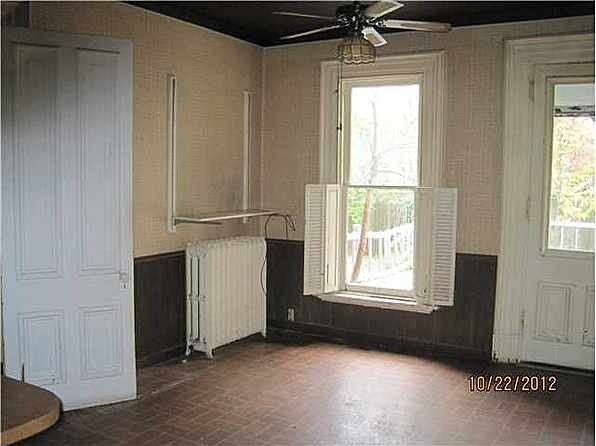 It sure looks like a worthy house for $119,900. Are we allowed to know what they were asking for it in 2012? On 12/4/2012 it was listed at $62,900. according to Homepath. 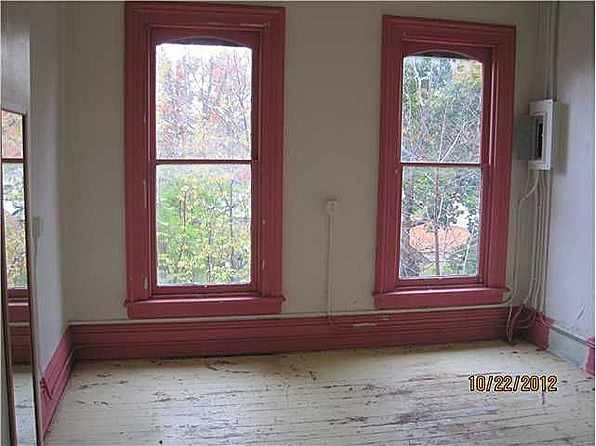 About a month later, it dropped to $54,900 and was removed from the market a few days later. The sales history on this might give you whiplash. I know this house! London’s a great old house town: and some of them have really great carriage barns and other dependencies. 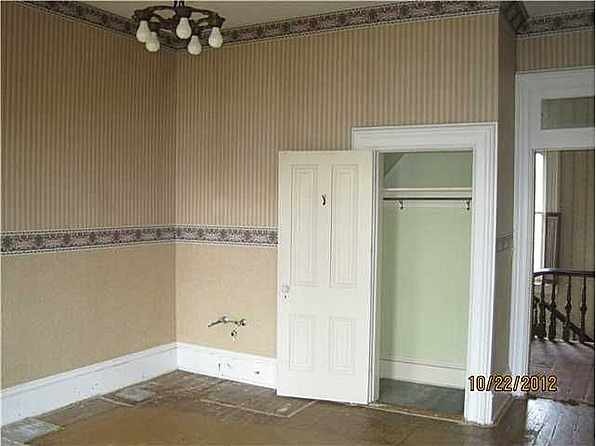 Likely this house had a fine carriage house originally. Sorry to see it looking so schlumpy. Zillow is rather bullish on their “Zestimate” for this property but heaven only knows how their computerized algorithm calculates these values. They do not seem to necessarily reflect actual market conditions. Thanks for sharing the mansion level Queen Anne on East High St. with the bridged walkway over the porte cochere. 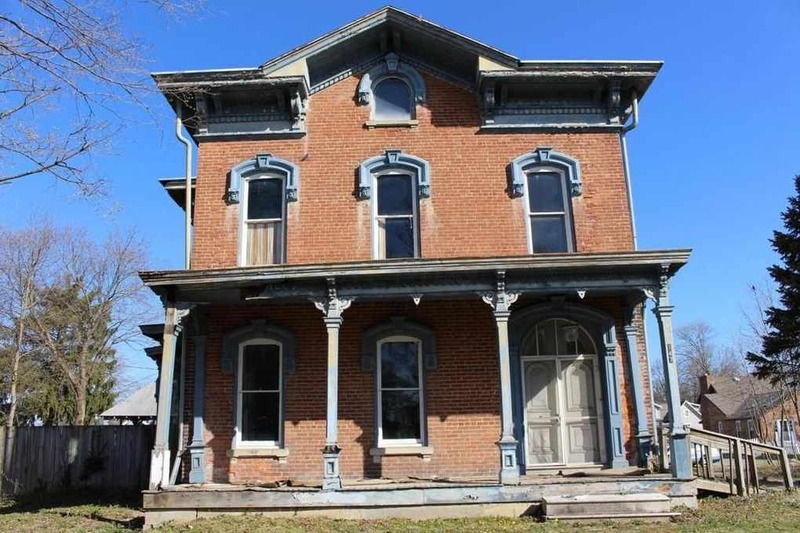 This Italianate was undoubtedly a fine specimen in its day and remains amazingly intact. 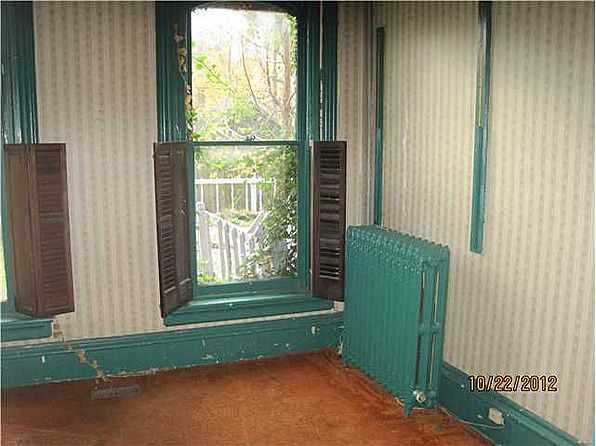 In the right hands with something more colorful and period appropriate in paint for the trim and window sashes, it could draw more visual interest from the street. 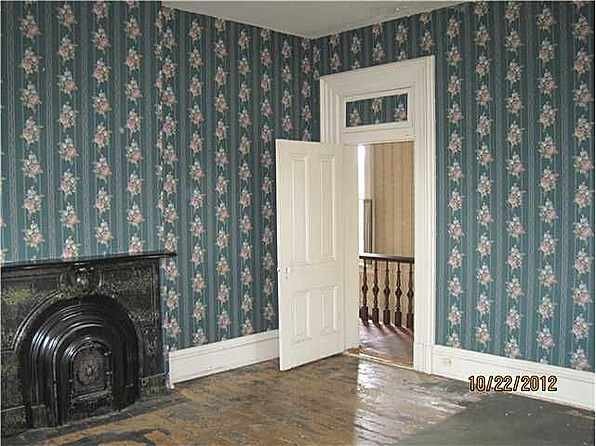 Always sad to see a neglected house like the one you linked to but it is not alone. 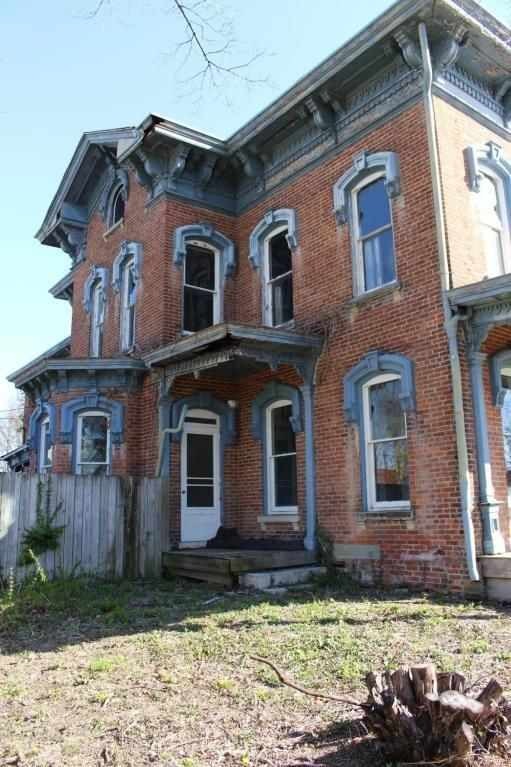 Here’s a towered Queen Anne in the 2015 Streetview that still looks restorable and needs a porch put back (and perhaps it was, rather than demolished) https://goo.gl/maps/do1esS8or9U2 and, on South Walnut, this broody looking twin gabled Queen Anne variant: https://goo.gl/maps/ztiP6Xrxd6z Given that the streetview dates from October 2018 it’s probably still standing. London, Ohio, (population just under 10,000) is located about midway between Columbus and Springfield just south of I-70. London has an impressive historic downtown but obviously the community could use some more investment in its historic structures. 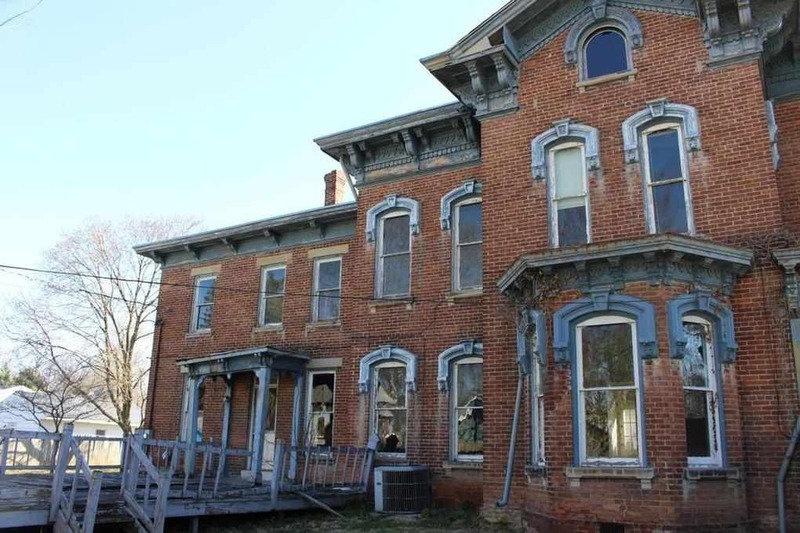 I hope the day is near when this once proud Italianate has a new caring owner or owners. More preservation minded folks are needed for the other London architectural damsels in distress before they are lost forever.